At Nvidia’s GPU Technology Conference (GTC17) in San Jose, Calif., this morning, CEO Jensen Huang announced the company’s much-anticipated Volta architecture and flagship high-end GPU, the Tesla V100, noting that it took several thousand engineers several years to create, at an approximate development cost of $3 billion. One thing is undeniable about the Volta V100: it is a giant chip, 33 percent larger than the Pascal P100 and once again “the biggest GPU ever made.” Fabricated by TSMC on a custom 12-nm FFN high performance manufacturing process, the V100 GPU squeezes 21.1 billion transistors and almost 100 billion via connectors on an 815 mm2 die, about the size of the Apple watch, said Huang. Volta is a major launch for Nvidia, but not exactly a surprise. Back in 2014, the architecture was tapped to power the next-generation CORAL supercomputers, Summit and Sierra, in partnership with IBM, Mellanox and the Department of Energy. Those computers, expected to reach at least 200 petaflops of performance, are now due to be installed later this year into early 2018. The new V100 touts spec’d performance of 7.5 teraflops double-precision, 15 teraflops single-precision, and 30 teraflops half-precision. This is nearly a 42 percent increase in peak flops over one year. The Volta architecture introduces a brand new type of processor, Tensor Core, designed to accelerate AI workloads. With 640 Tensor Cores (8 per SM), V100 delivers 120 teraflops of deep learning performance, providing 6-12 times higher peak teraflops for Tensor operations compared with previous-generation silicon. Volta is also slated to provide up to 60 tera-ops of INT8 performance. Nvidia kept the INT8 instructions to maintain compatibility with existing code bases and also reported that having a dedicated integer unit on Volta would help write machine learning kernels. Tesla comparison over the last five years. Source: Nvidia. Click to Expand. Volta comes with 6MB of L2 cache and 16GB of HBM2 memory, providing 900 GB/s of bandwidth. The SMX2 form factor V100 features NVLink2 connectivity with nearly twice the throughput of the prior generation NVLink, going from 160 GB/s to 300 GB/s. Designers accomplished this by adding 50 percent more links and running them 28 percent faster. Similar to the Pascal GP100, the Volta GV100 SM incorporates 64 FP32 cores and 32 FP64 cores per SM, however the new GPU has 80 SMs compared with 56 on the GP100. It thus has many more registers and supports more threads, warps, and thread blocks compared with previous Tesla generation GPUs, according to Nvidia. + New mixed-precision FP16/FP32 Tensor Cores purpose-built for deep learning matrix arithmetic. + Enhanced L1 data cache for higher performance and lower latency. + Streamlined instruction set for simpler decoding and reduced instruction latencies. + Higher clocks and higher power efficiency. 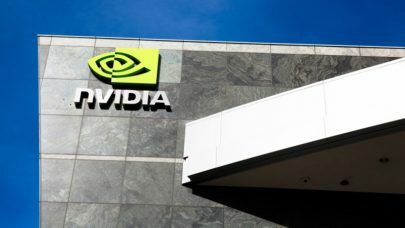 Catanzaro, who returned to Nvidia from Baidu six months ago, emphasized how the architectural changes wrought greater flexibility and power efficiency. “It’s worth noting that Volta has the biggest change to the GPU threading model basically since I can remember and I’ve been programming GPUs for a while,” he said. “With Volta we can actually have forward progress guarantees for threads inside the same warp even if they need to synchronize, which we have never been able to do before. This is going to enable a lot more interesting algorithms to be written using the GPU, so a lot of code that you just couldn’t write before because it potentially would hang the GPU based on that thread scheduling model is now possible. I’m pretty excited about that, especially for some sparser kinds of data analytics workloads there’s a lot of use cases where we want to be collaborating between threads in more complicated ways and Volta has a thread scheduler can accommodate that. Nvidia showed off three different V100 form factors at GTC: the 300 watt SXM2 (mezzanine) module; an inferencing accelerator for hyperscale that is a 150 watt full height, half length (FHHL) PCIe card about the size of a CD case; and the standard PCIe two-slot, full-length card. V100 GPUs will be available starting next quarter, according to Nvidia. Customers can pre-order the Volta-series DGX-1 box now for $149,000, $20,000 more than the list price for the Pascal-equipped version. In addition to the coming DGX-1 Volta refresh, Nvidia also released the new DGX Station. Billed as a “personal supercomputer for AI development,” DGX Station provides four NVLink-connected Tesla V100s to deliver 480 (peak) Tensor teraflops in a 1,500 watt water-cooled chassis for $69,000. Riding the wave of AI and HPC announcements made this week and on the heels of a stronger-than-expected first quarter (recording revenue of $1.94 billion with record datacenter sales of $409 million), Nvidia shares were up 18 percent as of close of market Wednesday, reaching $121.29, an all-time high.